Actually this is doujinshi or fan manga, i.e. comics drawn by the fans. If you've drawn one of your own please send it on over! Go to submissions to find out how! 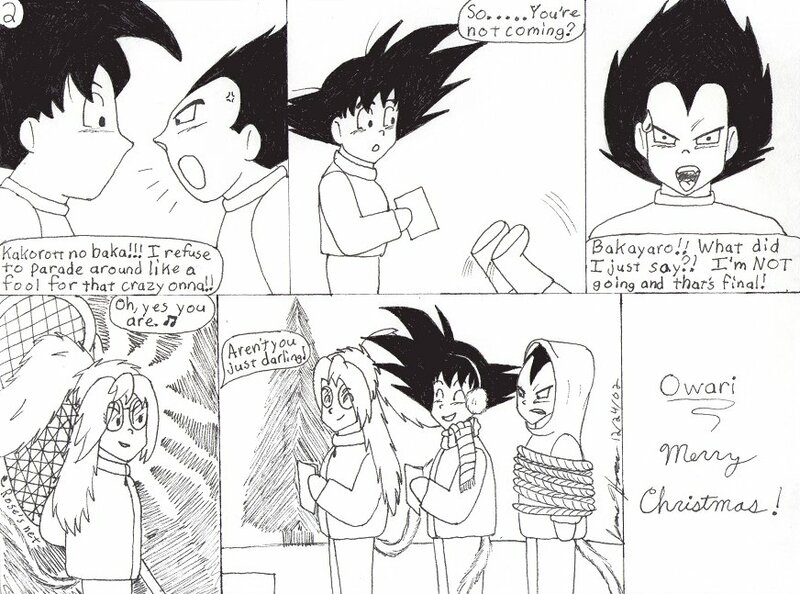 If you want to use any of my manga, give me credit for them, and let me know so I can link to your page. If you'd like to use any of the other artists' mangas email them for permission. As webmistress, I reserve the right to refuse to link to any page I find inappropriate. 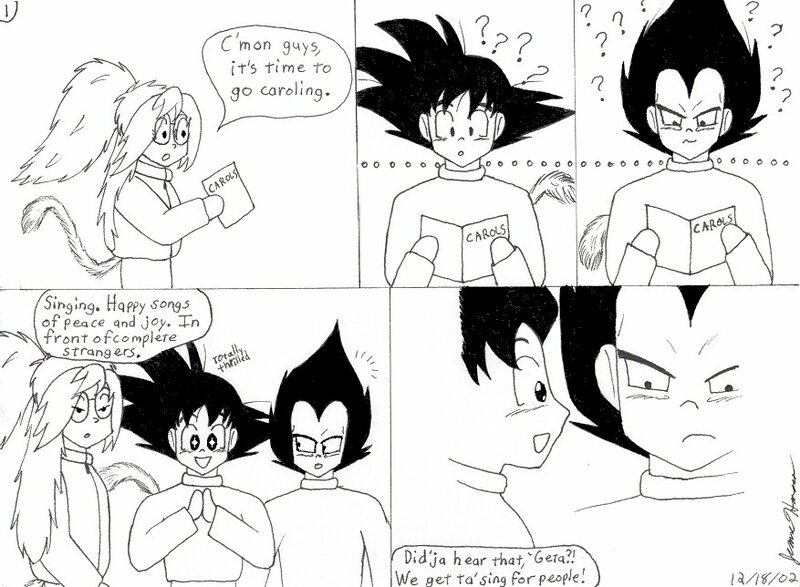 And like I said on my fanfic page, if you steal my stuff, I'll come after you like Vegeta on a bad day. Christmas time again and I'm taking the boys out to spread some holiday cheer!